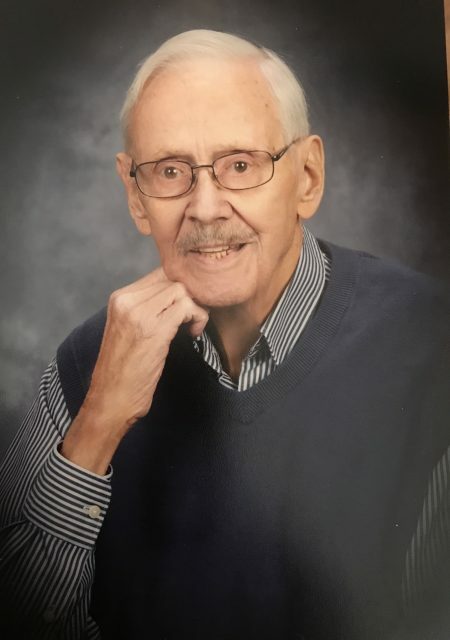 It is with heavy hearts, the family of Ronald Spielman announce his passing at the Rockyview Hospital on April 29, 2018. 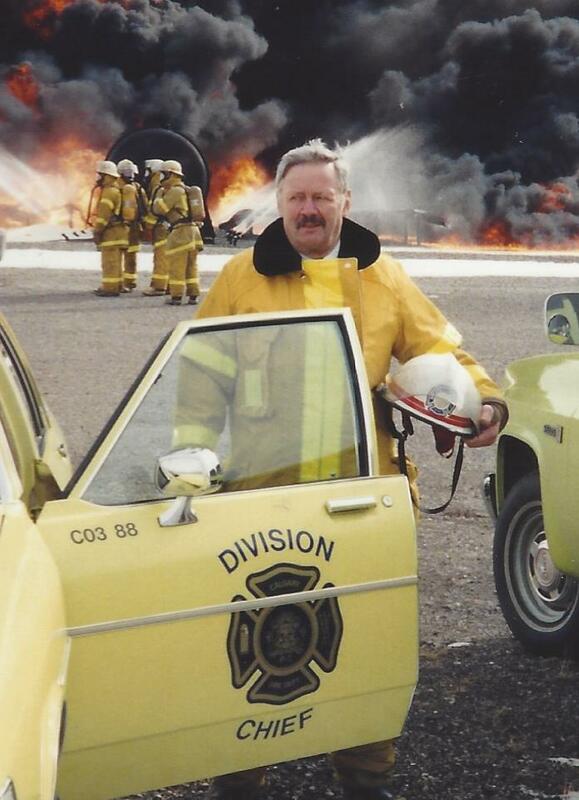 Ron was a lifelong resident of Calgary and proudly served as a member of the Calgary Fire Department for 40 yrs, retiring in 1992 as Division Chief. Prior to joining the Calgary Fire Department Ron served with the RCAF followed by CP Rail as a fireman on steam engine 5931, an engine that can be seen today at Heritage Park. Ron was passionate about his career with the fire department and the comradery that went with it, forging many life-long friendships. 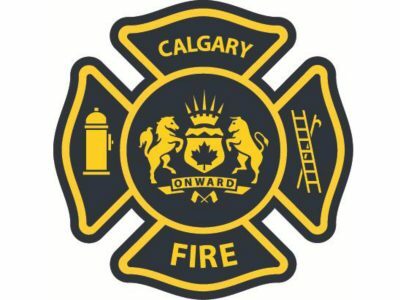 Ron’s lifetime commitment to the Calgary Fire Department included 12 yrs. in the executive of Local 255 from 1968 – 1980 as 2nd and 1st VP followed by a four year term as president of the AFFA, proudly representing his fellow firefighters. Ron recognized the importance of volunteering and representing the fire department throughout his career which included time with the Calgary Herald Road Race, Calgary Firefighters Toy Association, and Shrine Circus. One of his most gratifying accomplishments was that in 1978 he was instrumental in the founding of the Foothills Hospital Burn Unit. Ron was grateful to personally receive the Governor General’s award for long service from Governor General Jeanne Sauvé in Ottawa. Following retirement Ron remained active with model railroading along with various part-time jobs. Ron was a very compassionate person with a terrific sense of humour. Ron’s family was of the utmost importance to him, supporting his children and grandchildren in their many and varied endeavours. Ron is survived by his beloved wife Shirley, and loving children Craig (Sue), Corey (Norm), Cam (Kitty), six grandchildren Lindsay (Scott), Evan (Jenn), Brett, Blair (Bryan), Mason and Emma as well as two great-granddaughters Iilah and Paytra. Ron will be lovingly remembered by his brother Bain (Marlene) and sister-in-law Bev along with numerous nieces and nephews. Ron was predeceased by his mother and father Leila and Henry Spielman as well as two brothers, Allen, infant brother Alvin, and brother-in-law Gil Gerlitz. A Celebration of Life will be held at The Lutheran Church of the Cross, 10620 Elbow Drive SW on Thursday, May 10, 2018 at 1:00 pm. Luncheon to follow. Condolences may be left at www.cochranecountryfuneralhome.com. Arrangements in care of Lawrence (Larry) Slywka of Cochrane Country Funeral Home. 403.932.1039. It’s tough to say goodbye my brother. You will always be with me. Our sincere condolences to Shirley and the Spielman Family on the passing of “Brother” Ron. He will be truly missed at the monthly Pensioners meetings which he faithfully attended for most of his retired life. His passion for the Fire Department was well known to us, and may he find peace at his last call. I LOVE you Ron and Shirley-like my second parents. I couldn’t be more blessed than to be a part of the family. Love Always, Linda Willsher-Goodwin. Susan Spielman’s(not too much younger)sister. A grandpa like no other. You will be forever missed. Our condolences for your family’s loss. Please know that our thoughts are with you during this difficult time. Shirley and Family – Our thoughts and prayers are with all of you at this time. Ron will be missed. Ron was always a pleasant man to be around. I was never on the same shift, however, I know he treated everyone with respect. I always enjoyed working with Ron at his “second”” job at Woodward’s. Always a fun guy to be around! Our condolences to his family during this difficult time. He will be missed for sure. So sorry to hear of Ron’s passing. Always enjoyed picking Ron up and taking him to our get-togethers at Ed’s for our model railroad Tuesdays. Unfortunately, I just got out of the hospital after a 7 week stay there, so I was unable to visit Ron. Ron Spielman taught me compassion, teamwork, respect, and how to keep a Firehall breakfast affordable. He was a great man and always had time to reminisce and laugh about life in the Firehall! Ron we all said goodbye yesterday. What a service and a tribute you would have been proud.Corey’s eulogy was lovely. I will miss you my friend. Rest in peace.